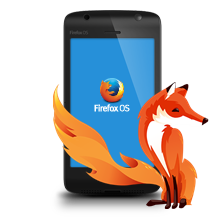 WorldIP for Firefox 2.2.0 is an addon for Firefox that allows you to find out the physical location of the server of a website. The information displayed is obtained from the geolocation database that belongs to WorldIP. The information in the WorldIP database is more accurate compared to the Whois records. The WorldIP extension is created based on the API so it is always able to give the most up to date information. If you want to learn about the server that the website is based, you simply hover your mouse cursor over the flag in the web address bar. It will display the type of web server used on the server for example Apache. It shows the country flag of the server. You will get complete DNS information of the domain. Some of the information it will display are host name, host IP, country, registry, AS number, and data center. It will display the IP address of your computer as well as the IP address of your location. The WorldIP extension also offer external DNS information. It has a built in DNS ping server. With WorldIP, you can avoid visiting fraud sites that have spyware. It comes with many security features such as DNS spoofing, anti phishing, It is an informative addon that loads at an impressive speed even when you open several tabs. You also have the option to be transferred to the Wip-Map information system. In order for the WorldIP add to work, you need to install another addon called the addon bar.